William Lygon, 7th Earl Beauchamp, was born today, February 20, in 1872. He was a British Liberal politician. He was Governor of New South Wales between 1899 and 1901, a member of the Liberal administrations of Sir Henry Campbell-Bannerman and H. H. Asquith between 1905 and 1915 and leader of the Liberal Party in the House of Lords between 1924 and 1931. When political enemies threatened to make public his homosexuality he resigned from office to go into exile. Lord Beauchamp is often assumed to be the model for the character Lord Marchmain in Evelyn Waugh's novel Brideshead Revisited. Beauchamp succeeded his father in the earldom in 1891 at the age of 18, and was mayor of Worcester between 1895 and 1896. A progressive in his ideas, he was surprised to be offered the post of Governor of New South Wales in May 1899. Though he was good at the job and enjoyed the company of local artists and writers, he was unpopular in the colony for a series of gaffes and misunderstandings, most notably over his reference to the 'birthstain' of Australia's convict origins. His open association with the high church and Anglo-Catholicism caused increased perturbation in the Evangelical Council. In Sydney, William Carr Smith, rector of St James' Church was his chaplain. Beauchamp returned to Britain in 1900, saying that his duties had failed to stimulate him. In 1902, Beauchamp joined the Liberal Party and the same year he married Lady Lettice Mary Elizabeth Grosvenor, the daughter of Victor Grosvenor, Earl Grosvenor. When the Liberals came to power under Henry Campbell-Bannerman in December 1905, Beauchamp was appointed Captain of the Honourable Corps of Gentlemen-at-Arms and was sworn of the Privy Council in January 1906. 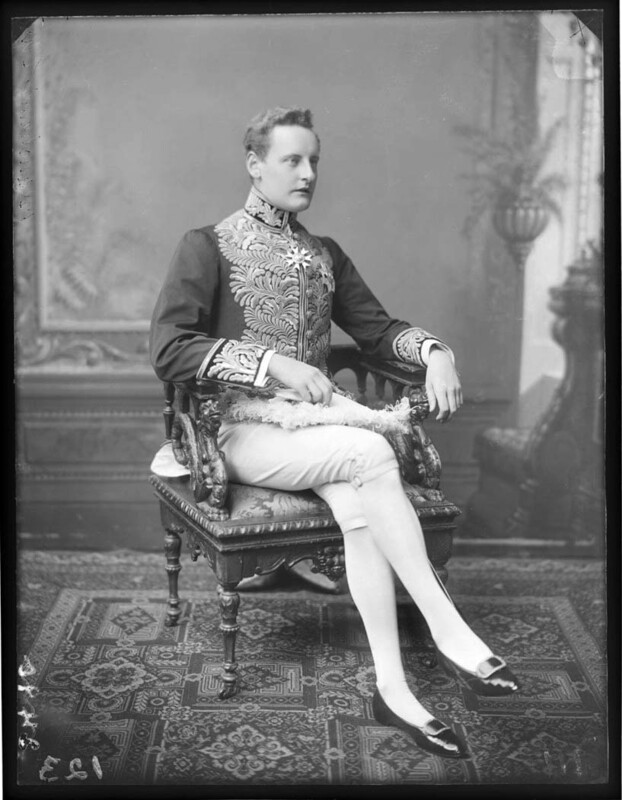 In July 1907, he became Lord Steward of the Household, a post he retained when H. H. Asquith became Prime Minister in 1908. He entered the cabinet as Lord President of the Council in June 1910, a post that he held until November of the same year, when he was appointed First Commissioner of Works. Identified with the radical wing of the Liberal Party, Beauchamp also chaired (in December 1913) the Central Land and Housing Council, which was designed to advance Lloyd George’s Land Campaign. He was again Lord President of the Council from 1914 to 1915. However, he was not a member of the coalition government formed by Asquith in May 1915. Lord Beauchamp never returned to ministerial office but was the Liberal leader in the House of Lords from 1924 to 1931, supporting the ailing party with his substantial fortune. While serving in Parliament, Beauchamp also voiced his support for a range of progressive measures such as workmen's compensation, an expansion in rural housing provision, an agricultural minimum wage, improved safety standards and reduced working hours for miners. In 1931, Lord Beauchamp was "outed" as homosexual. Although Beauchamp's homosexuality was an open secret in parts of high society and one that his political opponents had refrained from using against him despite its illegality, Lady Beauchamp was oblivious to it and professed a confusion as to what homosexuality was when it was revealed. He had numerous affairs at Madresfield and Walmer Castle, with his partners ranging from servants to socialites, including local men. In 1930, while on a trip to Australia, it became common knowledge in London society that one of the men escorting him, Robert Bernays, a member of the Liberal Party, was a lover. It was reported to King George V and Queen Mary by his Tory brother-in-law, the Duke of Westminster, who hoped to ruin the Liberal Party through Beauchamp, as well as Beauchamp personally due his private dislike of Beauchamp. Homosexuality was a criminal offence at the time, and the King was horrified, rumored to have said, "I thought men like that shot themselves." The King had a personal interest in the case, as his sons Henry and George had visited Madresfield in the past. George was then in a relationship with Beauchamp's daughter Mary, which was cut off by her father's outing. After sufficient evidence had been gathered by the Duke, Beauchamp was made an offer to separate from his wife Lettice (without a divorce), retire on a pretence and then leave the country. Beauchamp refused, and, shortly afterwards, the Countess Beauchamp obtained a divorce. There was no public scandal, but Lord Beauchamp resigned all his offices except that of Lord Warden of the Cinque Ports and went into exile on the continent (fearing arrest if he did not), briefly contemplating suicide. Following his departure for the continent, his brother-in-law sent him a note which read. "Dear Bugger-in-law, you got what you deserved. Yours, Westminster."